That there is an apparent slide in deposit rates has become all the more obvious with two of India’s leading public sector banks – State Bank of India (SBI) and IDBI Bank – slashing their deposit rates, with the revised rates taking effect from April 13. The state-owned IDBI Bank also intends cutting its yardstick prime lending rate (BPLR) from April 15 onwards. 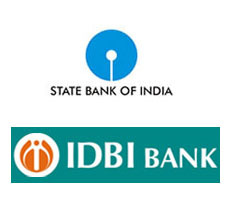 Announcing their respective moves a day after the bankers met RBI Governor D Subbarao, both the SBI and the IDBI Bank said that they plan trimming their deposit rates by 25 basis points to 50 basis points – or 0.25 percent to 0.5 percent - across various maturities. In addition, the IDBI Bank has also announced a reduction of its BPLR by 50 basis points to 13 percent. Elaborating its proposed measure, SBI said that the bank’s peak rate for its 1,000 days deposit will come down from 8.5 percent to 8.25 percent. For deposits with one year to less than two years maturity, the applicable rate would be 7.75 percent, instead of the previous rate of 8.10 percent. Similarly, the IDBI Bank specified that for one to three year maturity deposits up to Rs 15 lakh, the rate – like SBI - will fall from 8.5 percent to 8.25 percent; while for 1,100-days’ deposits, the rate will be 8.75 percent as against the earlier applicable 9.25 percent.